Jayne T. Wallace, who also writes as J.T. Austin, began her literary career by winning $75 in a junior high essay contest. She has been writing, reading and/or editing in various formats since. She has a BA in English from UF, balanced by an MS in Anthropology from FSU. Her first novel, Circles and Echoes, is available now on Amazon. She is already at work on the sequel, Ripples and Waves, as well as Winter’s Work, the first of a series of historical novels set in Florida, The Wilde Grove Quartet. Will echoes from the past destroy all hope for love? Kate Langdale is racing home to her injured son and rethinking her marriage. Stephen Scott is trying to forget his past and build a new life. Neither imagines they will be the only survivors when their small plane crashes at sea. But is the lovely, isolated island they find their salvation, or a covert killing ground? Stephen, a capable and attractive veteran of Afghanistan, sees danger everywhere and worries that the place is no vacation hideaway. Are his fears justified, or post-traumatic stress delusions? Should the inexperienced Kate trust him, knowing that he’s keeping secrets? Or do Stephen’s smiling blue eyes conceal truths that might unleash disaster? Is Kate strong enough to weather those emotional storms? 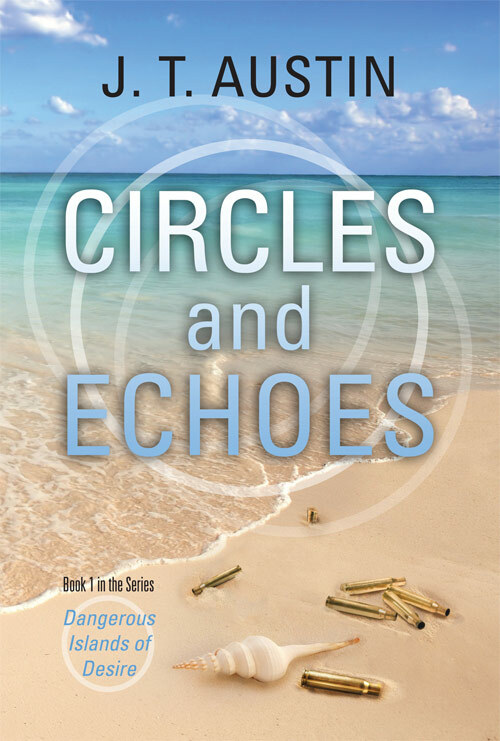 Part modern romance, part psychological thriller, Circles and Echoes follows Stephen and Kate as they confront the past and try to find a path to the future. Do they really want to risk their growing friendship on something as unpredictable as love?